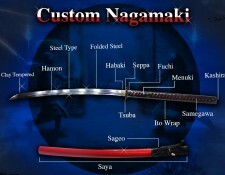 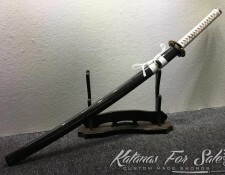 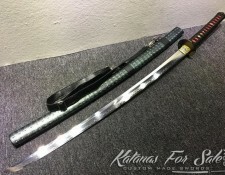 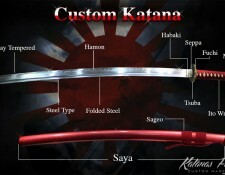 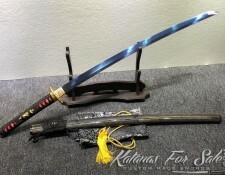 Categories: 9260 Spring Steel, Nodachi For Sale. 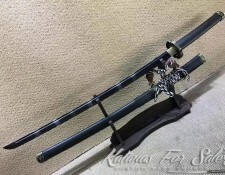 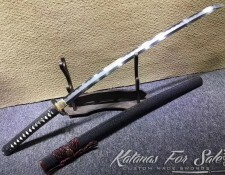 Tags: 9260 spring steel, nodachi. This Nodachi features a black silk tsukamaki, real white ray skin samegawa, handmade brass fuchi, kashira, menuki. 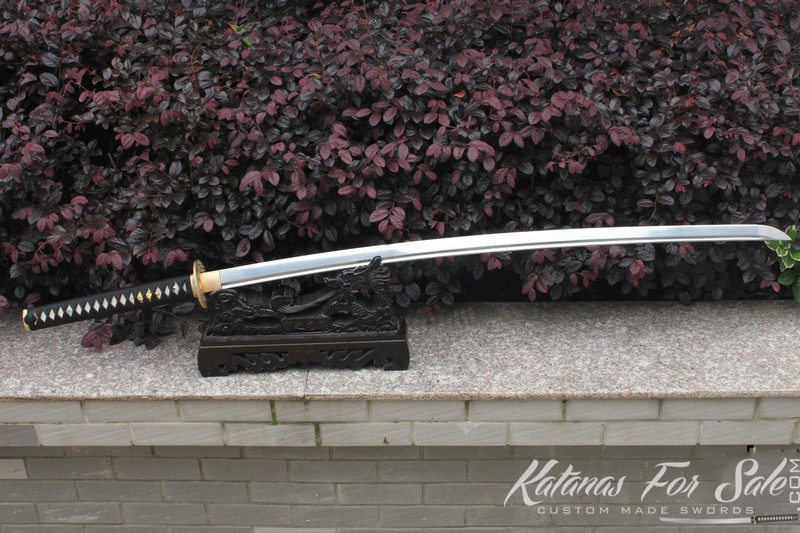 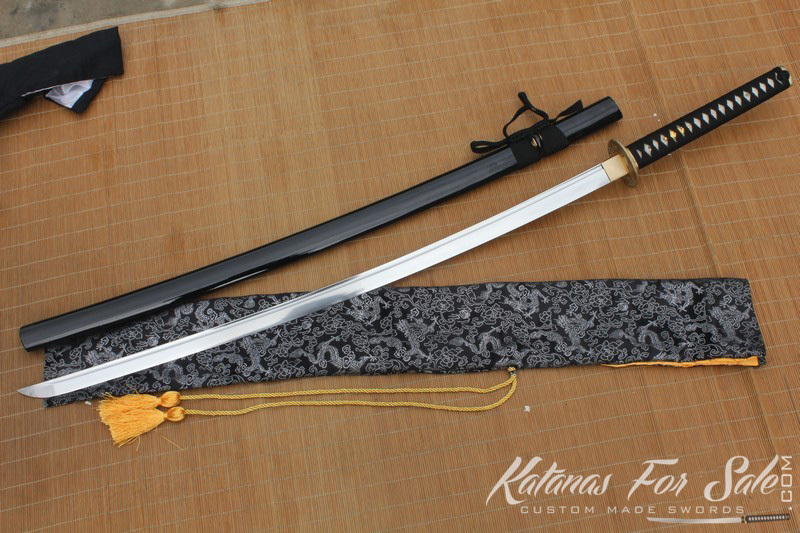 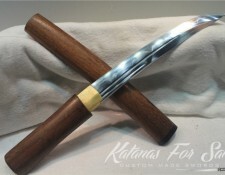 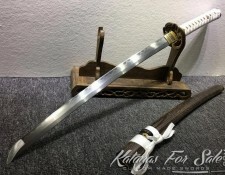 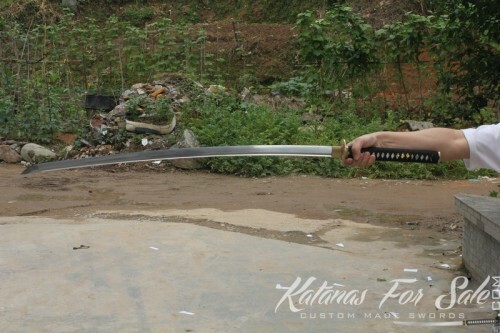 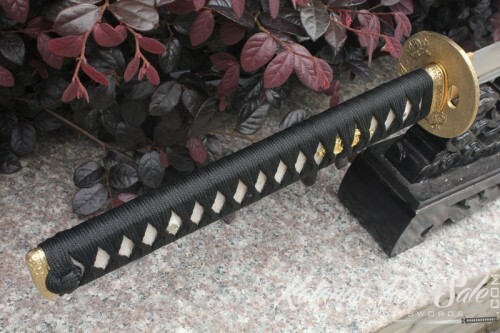 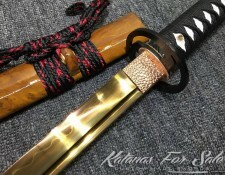 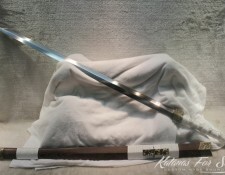 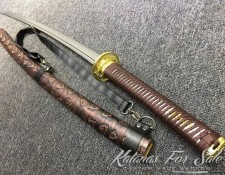 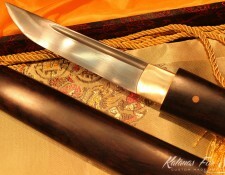 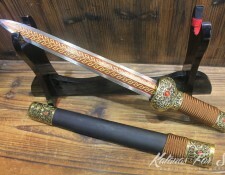 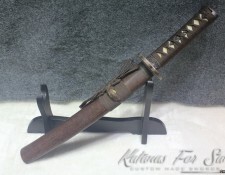 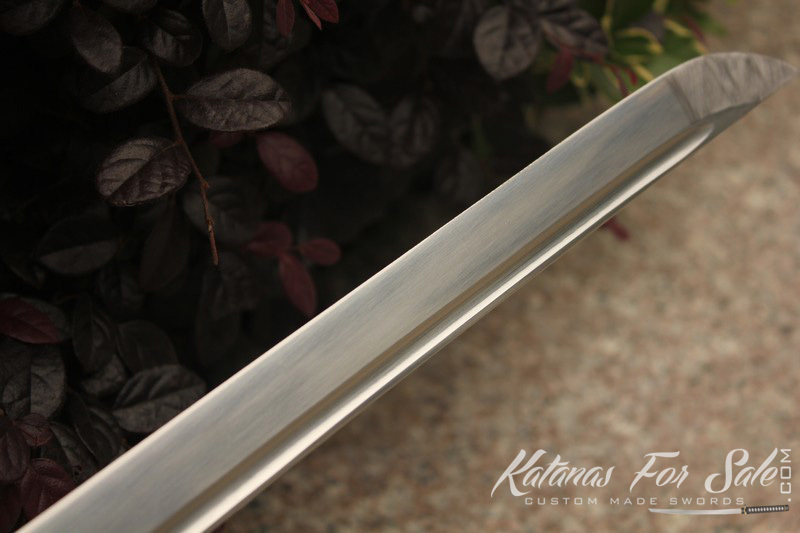 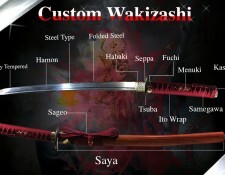 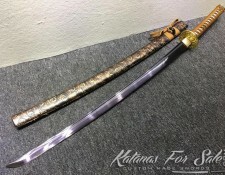 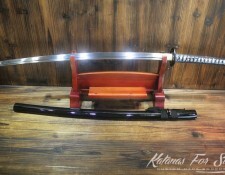 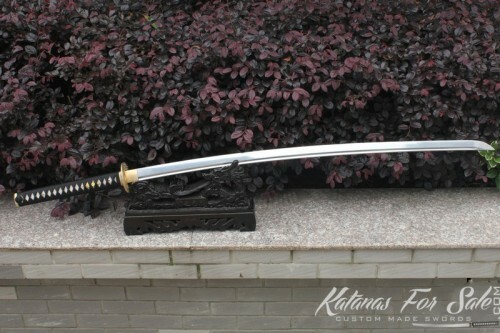 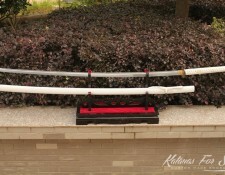 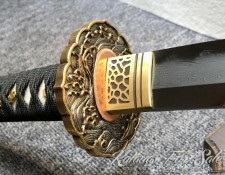 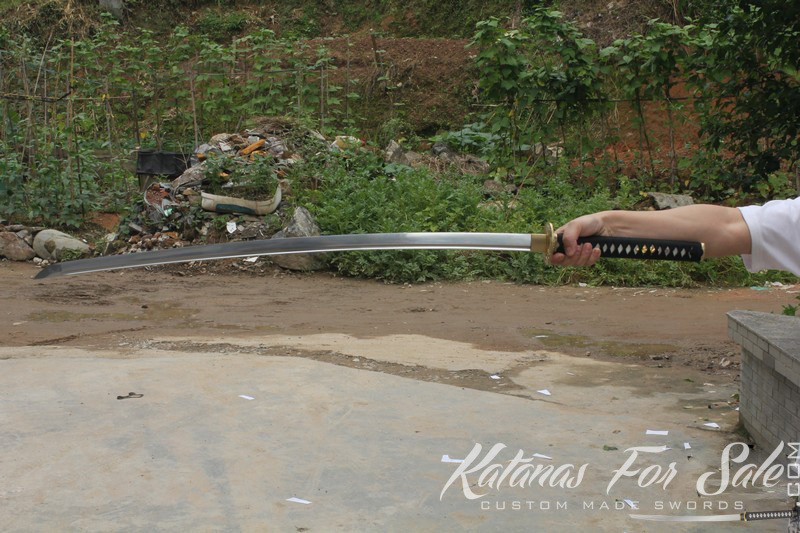 A high value and collectable genuine Japanese battle ready sword. 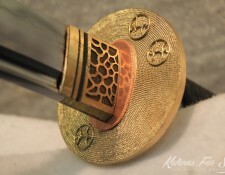 The Tsuba of the sword begins with a bronze blade collar (Habaki). 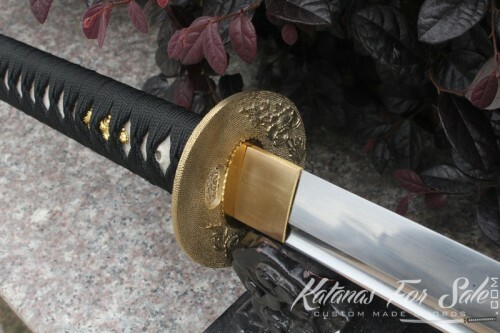 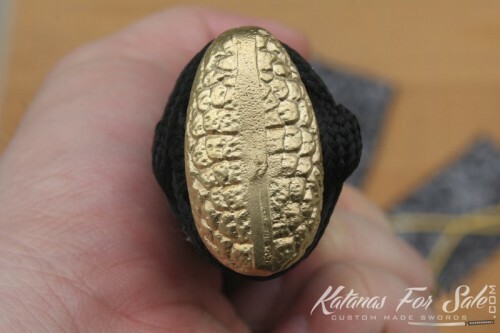 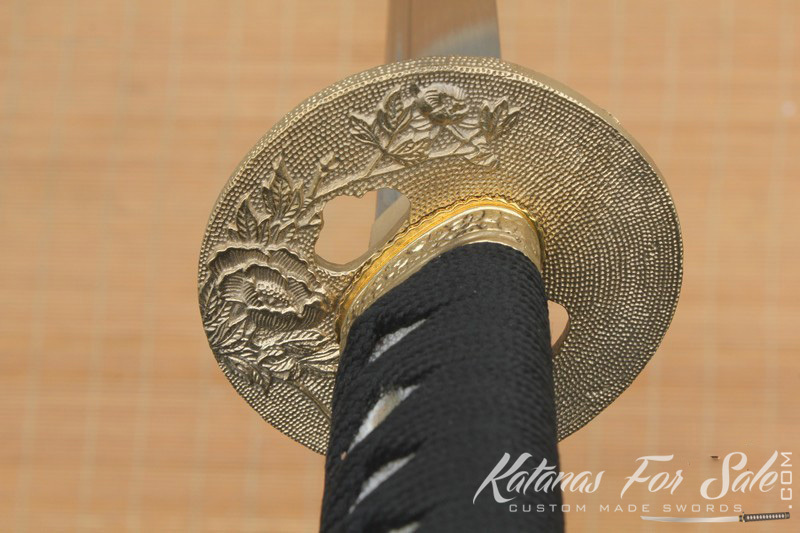 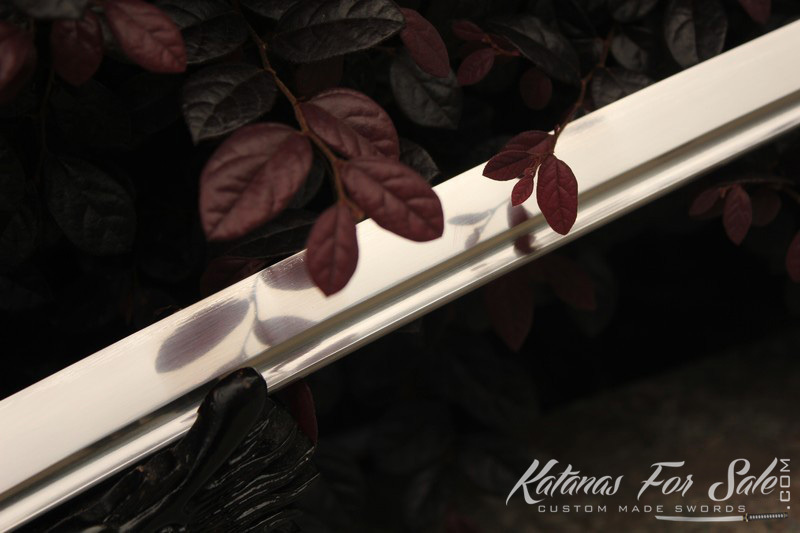 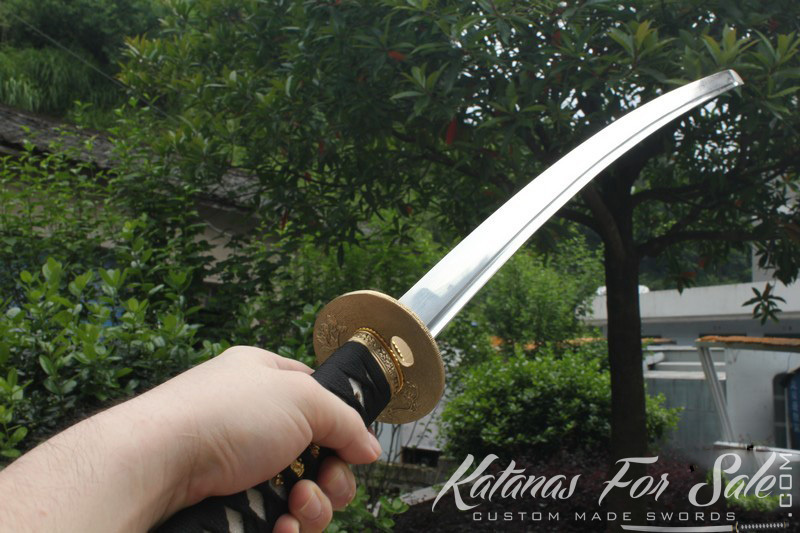 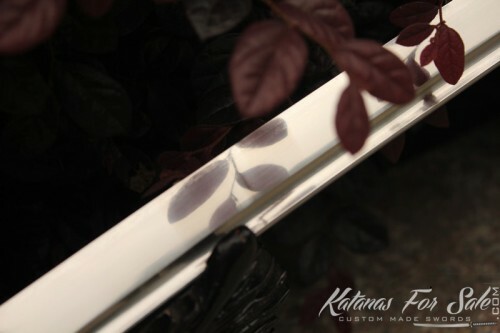 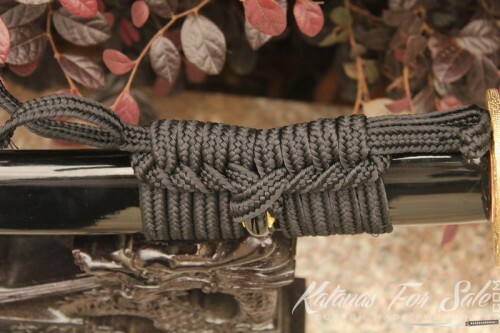 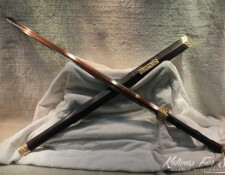 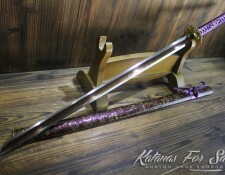 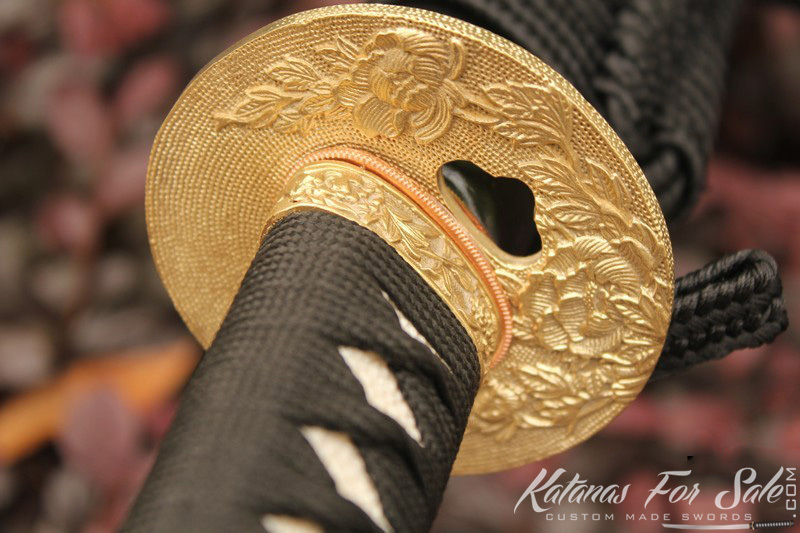 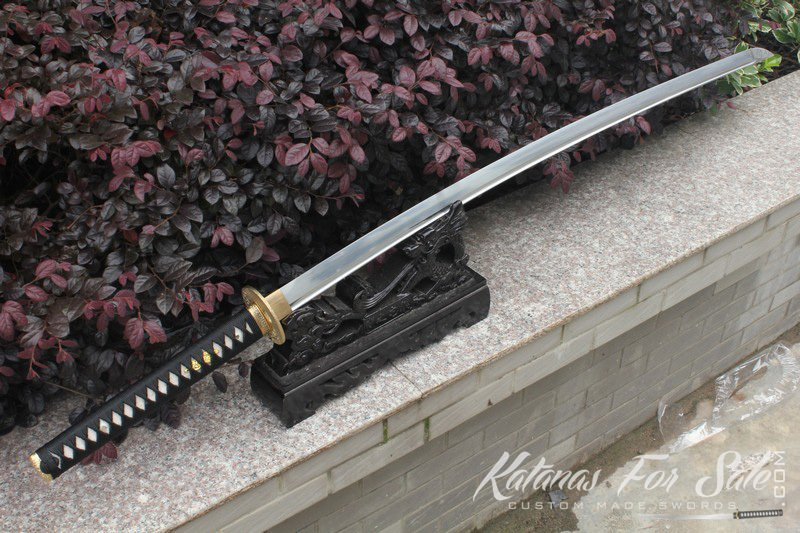 The guard is made from high quality brass and it has a Japanese Sakura blossom design. 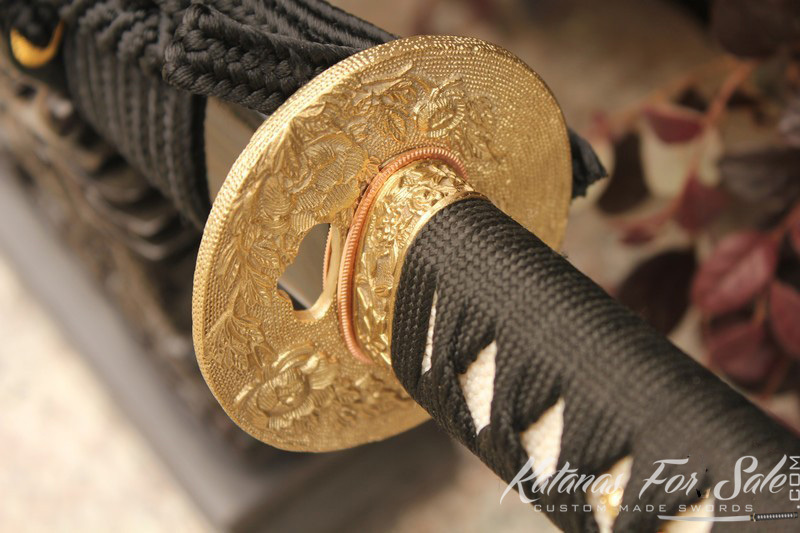 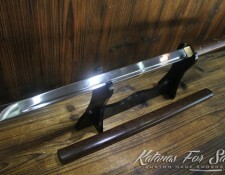 Each side of the guard is secured by a bronze spacer (Seppa), this fitting is only found on hand crafted swords. 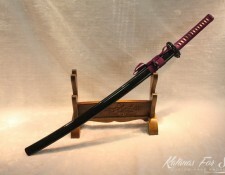 A sword bag is included.